The Lugarde Fifth Avenue is a very popular range available in many sizes. 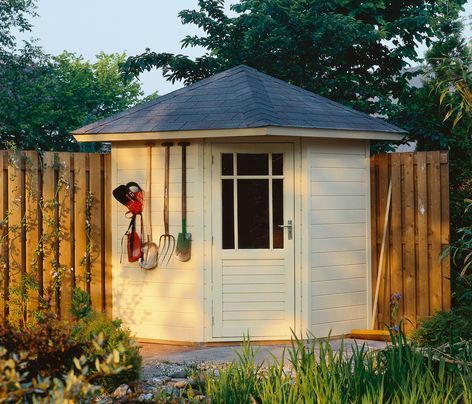 Due to their pentagonal shape these summer houses are ideal for a corner position in the garden. 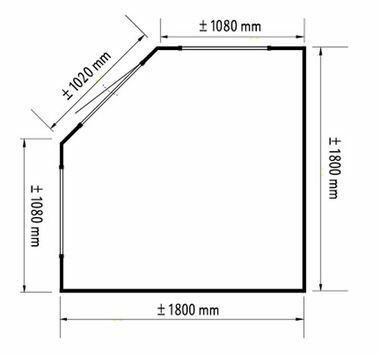 Size approximately 1.8m x 1.8m in 28 mm log thickness. The standard Package includes 1 single door PJ04. Measurements are taken to the outside faces of the walls.